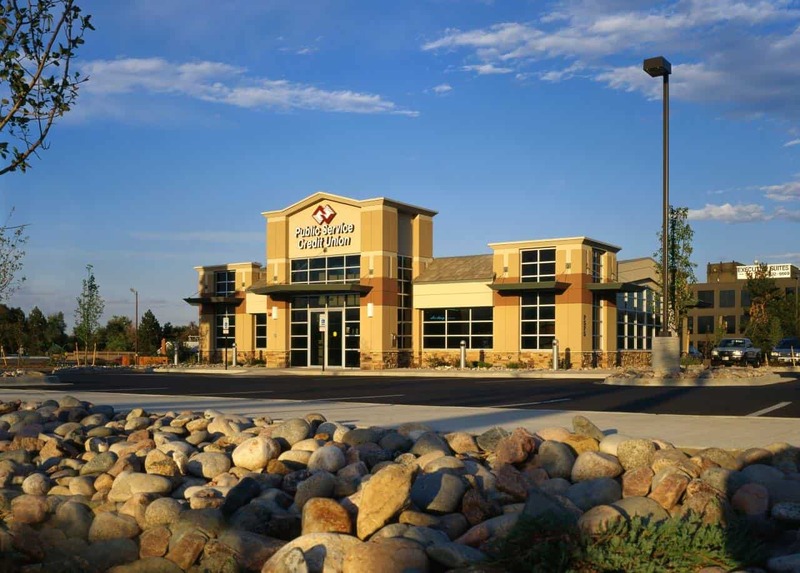 Lee Architects/Interior Designers has designed many projects for Public Service Credit Union throughout the Denver Metro area. This project, at the intersection of Wadsworth Boulevard and West 6th Avenue, is a remodel of an old Denny’s restaurant. 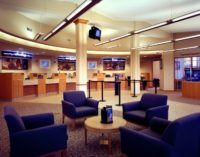 The building, which became an eye-sore after Denny’s closed, was completely gutted with only the roof and part of the walls left in order to transform it into a modern, full-service, credit union facility. 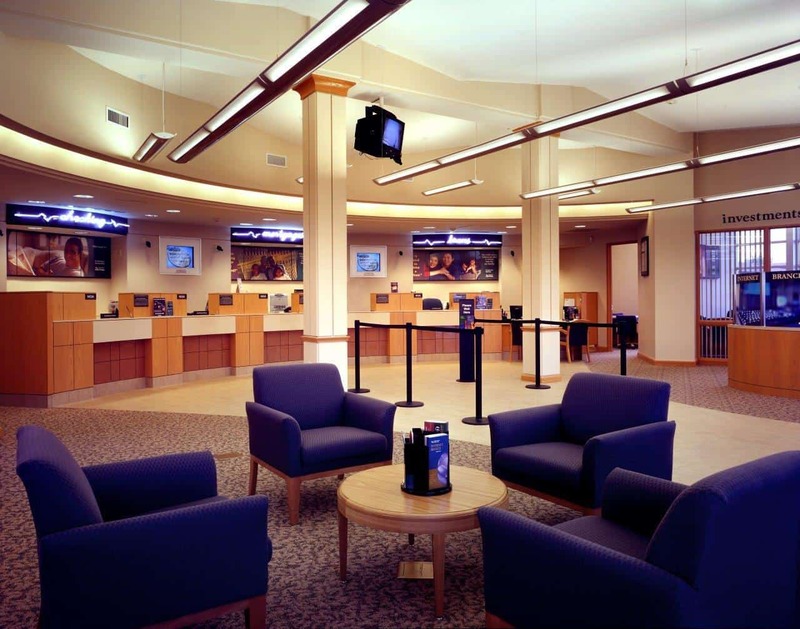 Many of the design concepts developed by Lee Architects/Interior Designers for the credit union at its other locations were incorporated into this site. The transformation that took place when this project was completed was welcomed by the City of Lakewood and is part of the community’s effort to improve the Wadsworth corridor. To the south was the major redevelopment of what is now the Belmar area and to the north, the city is undertaking a major intersection project at Wadsworth Blvd. and Colfax Avenue.